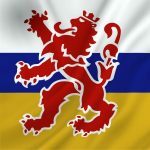 Just when you thought Orktober couldn't get any more jam-packed with decadent, violent mayhem, the excellent folks over at Bandua Wargames have released some table bundles which will get your Greenskins tingling. I mean, look at these builds. Bandua have really outdone themselves with the detailing on these products. 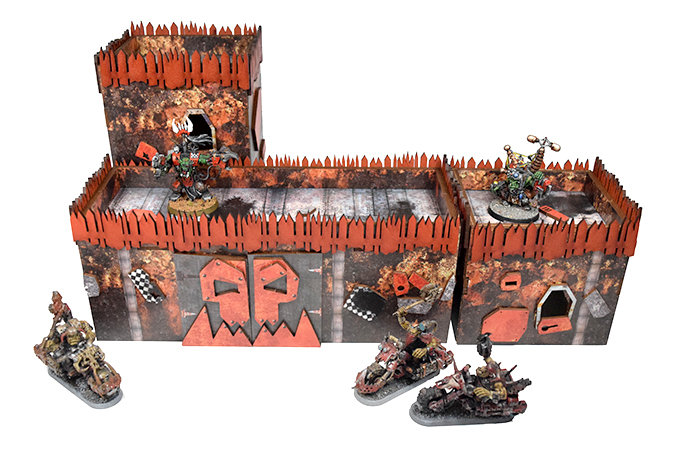 Released today exclusively through the Bandua website, these Orktastic bundles are available in lots of different configurations, allowing them to be stacked. There are three different bundles available. 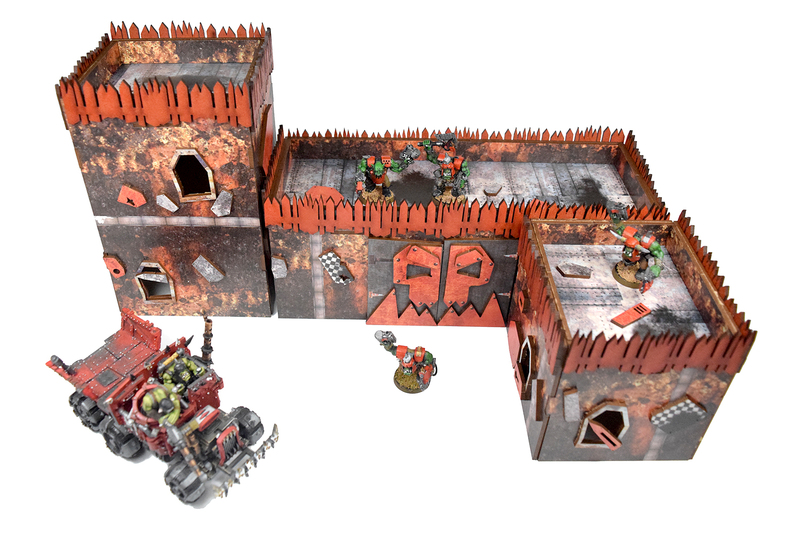 The Ork Constructions Pack contains three pre-painted Ork buildings (small, medium and large), with loads of smaller pieces which can be attached for decoration and details. 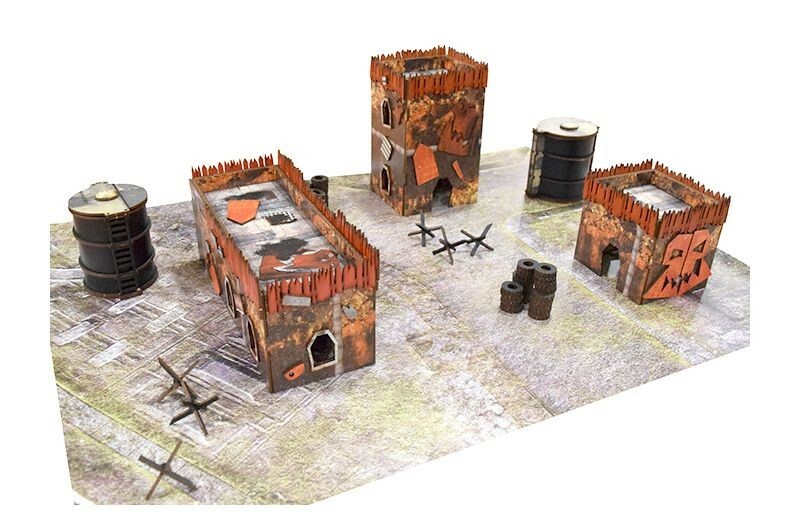 The "Orkburg" Kill Zone Pack contains everything in the Constructions Pack plus ten anti-tank traps, six black tyres, and 2 pre-painted deposits; - a perfect bundle for gamers who use small Kill Team tables or play Ork skirmish games. We have, of course, saved the best for last. 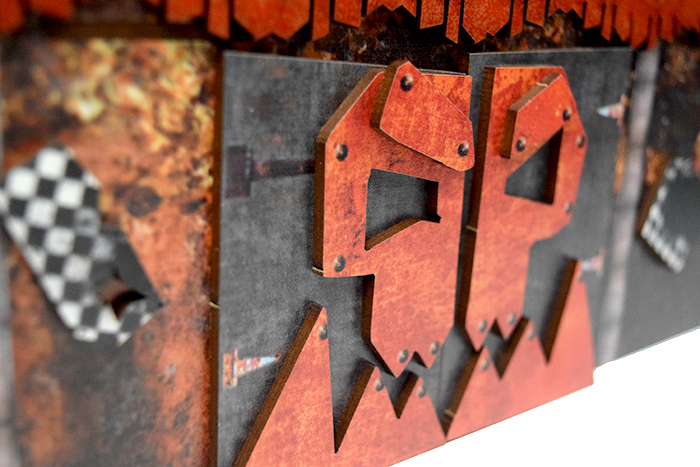 The "Orkburg" Table Bundle is the complete package, designed for an Ork-themed Warhammer 40K table to truly celebrate the season in style. 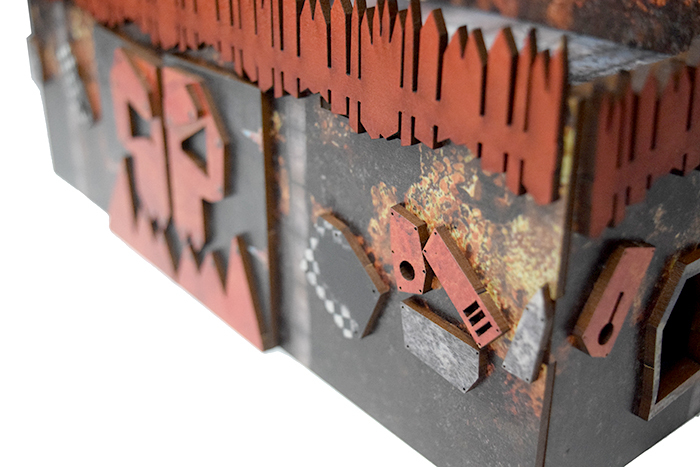 The kit includes three small, three medium, and three large Ork constructions, fifteen black anti-tank traps, 2 pre-painted deposits, and 3 pre-painted craters. Everything you need to sate your lustful battle thirst in one Ork-filled bundle! 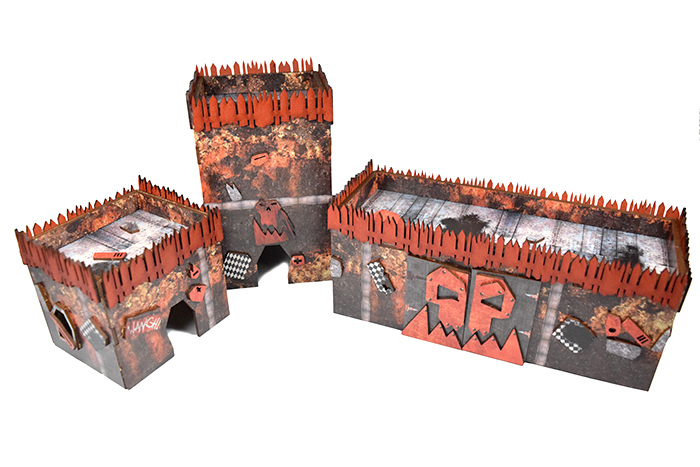 There is also the option to buy buildings individually if you want to truly customize your table set-up, however, the guys at Bandua have done an absolutely amazing job constructing their bundles. You can get them now through their website. 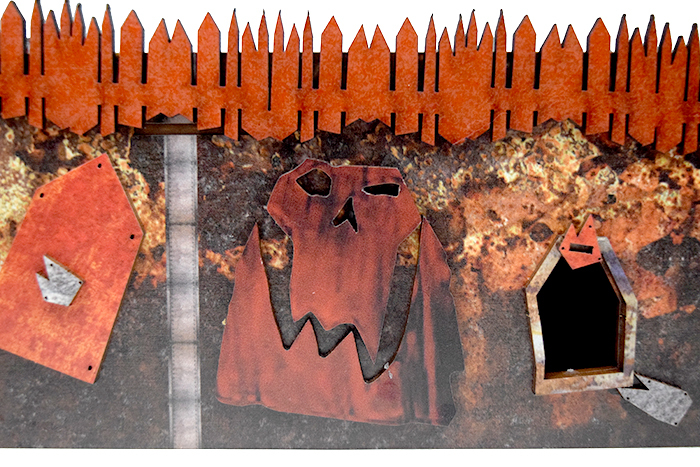 How are you celebrating Orktober? 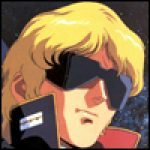 Projects, gaming, or both? Tell us below! "Everything you need to sate your lustful battle thirst in one Ork-filled bundle!" ohhh wow! I like these! Very very nice looking! I will add them to my ever growing list of needs! They look a bit straight for Orkish constructions, don’t they ? out of a cannon … and into one of those buildings. Failing that … just hit it with a spanner. nice quick terrain for gaming. Those look really nice and orky. 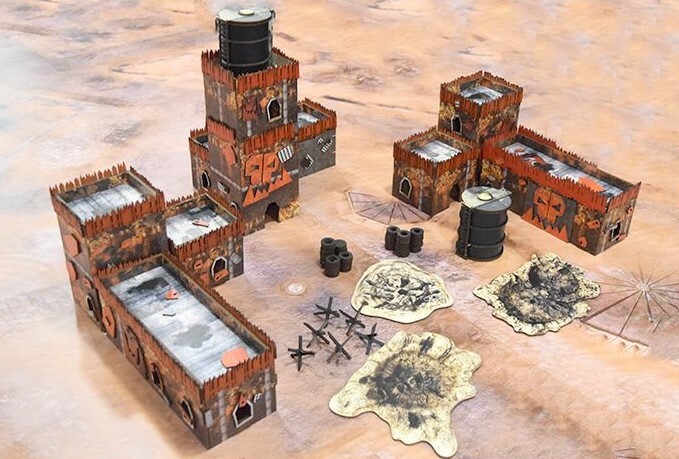 These look not very nice to me, almost like Fisher Price My First Terrain Kits. 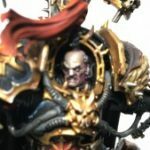 Very disappointed as some of the Bandua kits are nice. I think the best thing said about them is that they are at least cheap. Not just me that thought they looked cheap and tacky then… and I don’t think they are that cheap to be honest. 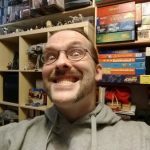 I certainly wouldn’t put those on my gaming table… unless there were kids at the table… as they have a childlike look about them. They look a bit like cheap cardboard. If they would sell them without the printed on stuff a bit cheaper it would be much more appealing. Why do I see Kleenex sprouting from the top of each of these pieces?